Yesterday I realized if all goes well the remainder of this week I will break 90+ miles in a month for the first time ever. Prior to this month the mid-80s was my peak and that included a bunch of junk miles. The best part? I’m feeling better than ever! I suspect the foot injury last week scared me into thinking I might not be able to run for a while, and now I’m just so happy to be running again. Honestly, the last few days I have been living on an endorphin high! Last night Adam and I went out to dinner when I got home from work so I snuck in a quick run at the gym as the Heat game was starting. 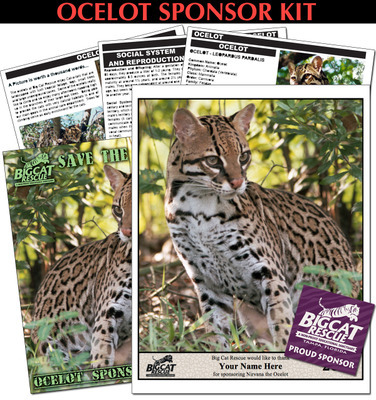 In non-running related news, yesterday I decided to sponsor an Ocelot at the Big Cat Rescue in Tampa! If you’re interested, BCR offers many different sponsorship levels and you can choose which type of big cat you want to sponsor (bobcat, leopard, cougar, lion, tiger, etc.). Amazing Grace, a female ocelot, at Big Cat Rescue in Tampa. I’m looking forward to visiting Big Cat Rescue sometime soon (it’s not too far from where my dad lives). I hope you are having a great Thursday! This week feels like it’s flying by! What is the max amount of miles you’ve run in one month? One week? That’s AWESOME!!!! Woohoo!! Well done! You WILL ace the remainder of this week too and will have a new weekly distance PR, that’s so great. Massive YAY for those endorphins. I’m not sure re: weekly or monthly mileage. I may add it up and get back to you! What a beautiful animal. I’ve never heard of an ocelot before. But now I kind of would like one! Not sure Puppy would get on with her though… Hey what do you think Cecil do if you brought home an actual addition in the form of another cat or a dog? I was able to see an ocelot hunt in person (from afar) one time and they are FIERCE and FAST! Cecil is really interested in other animals. He gets along with my mom’s cat really well, and if I bring him on a leash instead of a carrier to the vet he’ll exchange sniffs with the biggest dog in the room. I would love to have a second cat in the house, but Adam doesn’t want another one. Plus, Cecil’s special food (plus treats) runs me $120/month and I couldn’t afford that for two cats … I think it would be unfair to give the other cat different food, haha. Add it up and let me know! I would love to hear how many miles per week you’ve been running while training for the 50K! Yay! Do you have a half or anything coming up where you can test all your new mileage and see if it is paying off? And I would like to feel that my big mountain lion video contributed to you sponsoring an ocelot! haha-kidding! I really want to run a half this summer, but of course there are none in my area since it gets so hot here. I’ve got my eye on a couple that are out of the state, but it would be difficult to manage getting there since all of my vacation days from work are already accounted for (mostly for the London trip in the fall). Hmm I need to figure something out! Hooray for your big running month!!! Way back in college I used to really rack up the miles but now I don’t get to crazy – the past few months I had some high mileage months for me but this month I cut back down!!! Thanks! Makes sense you would have high mileage months leading into your 50! I’ve read that Anton Krupicka used to run 200 mile weeks training for 100s. So crazy! Congrats on a high mileage month w/o junk miles! I know the feeling of either coming off an injury or brink of injury and just being so excited to run. 🙂 My highest mileage weeks were in the high 70s. This was when I was ultra training but running WAY TOO MANY MILES. I was addicted. I do not think one needs to run 70 miles a week even when ultra training!!!! Huge mileage this month, that is awesome. Nothing better than when your stringing together some good runs and your body feels great. Keep up the great work. I think I topped out at 86 miles about a month ago and my highest weekly total is 27. It’s still so crazy to me that you ran a 27 mile week without being in the middle of training for a half (or full)! It’s nice to be so passionate about something without needing the motivation of a race though! Way to put in the miles this month! Glad your injury is no longer holding you back! The longest I have run in one month was 185 miles back in January – but that was only because I was competing in a running challenge and wanted to win (which I did). 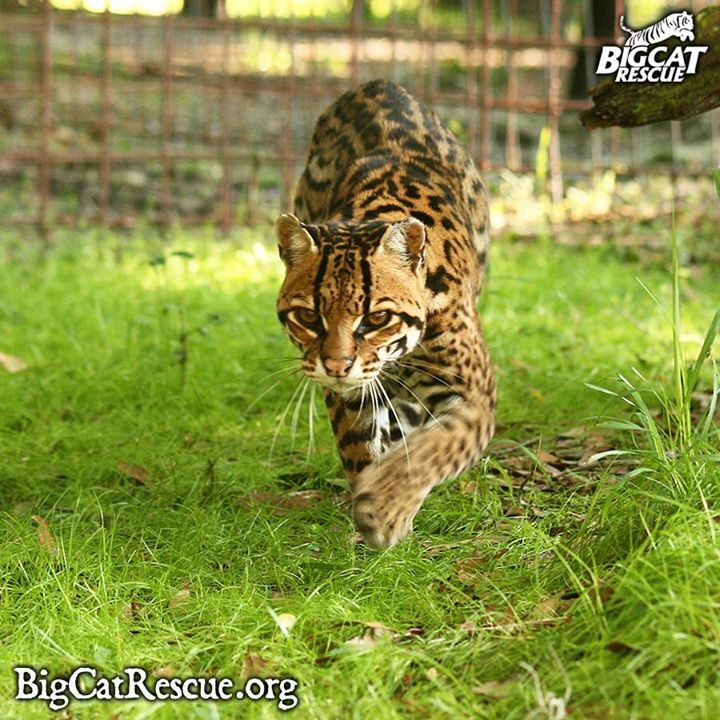 Question – why did you choose the Ocelot? Congrats on winning! 185 miles!!! WOW! A couple of years ago I was at a zoo checking out the ocelot cage when a squirrel fell through the top of the cage and was eaten by the ocelot. It all happened in like .002 seconds! I was a bit sad for the squirrel but really impressed by the ocelot’s speed! yay for feeling so great! it was not long ago that you were feeling less-than-excited about running, so i’m so happy that you have found your mojo again and are in full-on running mode. love the idea of big cat rescue! can’t wait to hear more about it when you go and visit. You’re right! 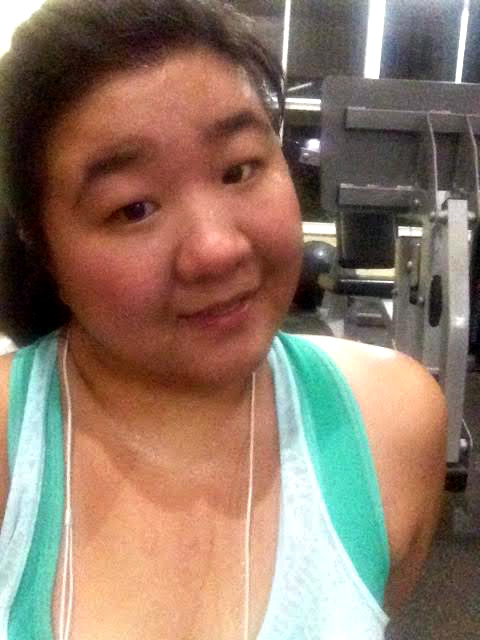 Just a couple of weeks ago I was really struggling – I’m glad I came out of that! I’ll post lots of pictures! Great job on the mileage 🙂 and yaaa for endorphins!! I haven’t had the greatest month for that, I have struggled more than i enjoyed. When I had vacation in Oct. and Dec. I hit 100 miles. I am having a decent month considering my long runs have been so slacking this month and I haven’t really felt super energetic. All of us go through ups and downs in training. Just a couple of weeks ago I was really struggling and now I’m riding the high! It will click again for you soon! I’m sure of it! Dude, you are on a ROLL. I wish we lived closer, because I could use some of your motivation right now!! I really hope we can meet this fall at the race in Sanibel!